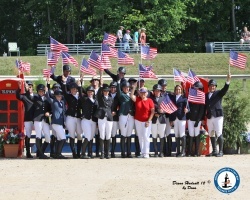 Traverse City, MI – July 29, 2012 – Opening Day of the 2012 London Olympic Games was celebrated in Red, White and Blue fashion yesterday during the final Saturday evening of the Horse Shows by the Bay Equestrian Festival in Traverse City, Michigan. 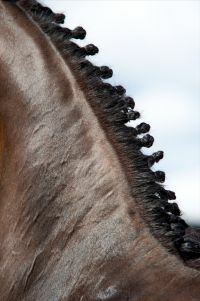 Spectators and Grand Prix riders competing in the $30,000 D-Braider Cherry Capital Classic Grand Prix participated in a “Good Luck Send-Off” for the U.S. Show Jumping Team competing at the 2012 London Olympic Games. Video and electronic messages of support were transmitted to members of the U.S. Show Jumping Team–Rich Fellers, Reed Kessler, Beezie Madden and McLain Ward. All gate proceeds for the day were donated to the USET Foundation by Horse Shows by the Bay and matched by Karin Flint/Flintfields Horse Park. The final Grand Prix of the series, sponsored by D-Braider and Karin Flint, electrified a sold-out crowd as 25 starters negotiated JP Godard’s deceptively challenging 16-obstacle first round. Like a siren, Godard lured the riders with a few key options, most notably the bending line from Fences 3 to 4. Riders needed to decide between a bold and slightly direct five strides or stay out in six strides. Inevitably, all but one rider opting for the six strides had a rail at Fence 4. 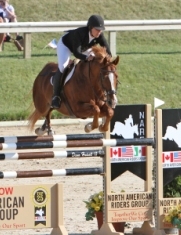 The starting field was narrowed down to 10 for the jump-off, with two riders on multiple horses. In the end, it was a battle similar to earlier crusades fought between Charles Jacobs and Lisa Goldman during the Traverse City series. 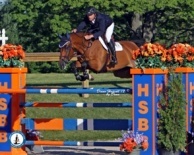 Jacobs was the first of only three to master Godard’s seven-obstacle jump-off track aboard his first mount Secret Love. 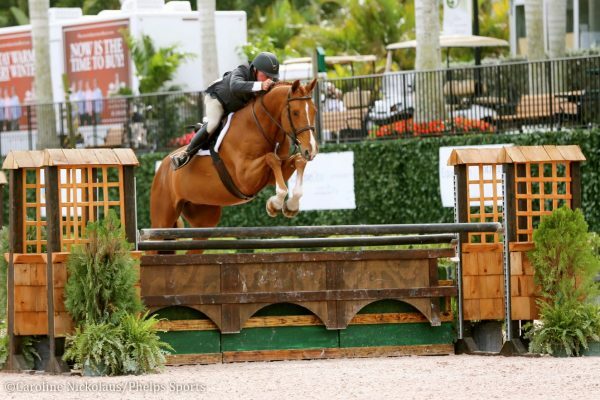 Never touching a jump, Secret Love effortlessly soared to a clean second round in 38.50 seconds. 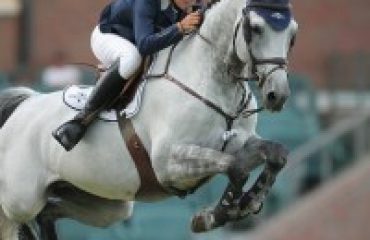 While the next set of qualifiers all had faults, it was then Goldman’s turn to attempt to repeat her Welcome Prix win earlier in the week on Morocco. In his now famous “boot, scoot and boogie” sidestep before attacking the course, the 9-year-old Oldenburg gelding, by Roc USA, laid his ears back and took off as if he’d seen a ghost. In typical Goldman fashion, she never touched the reins as the duo roared around the jump-off in a jaw-dropping 35.866 seconds. What the crowd didn’t know, but fellow competitors did, is that Morocco had done his “thing” while preparing in the schooling area for the jump-off. The ever spirited “Cowboy” had spun and bucked Goldman off just before their last prep jump. A sold-out crowd enjoyed the Red, White and Blue theme and the Grand Prix. 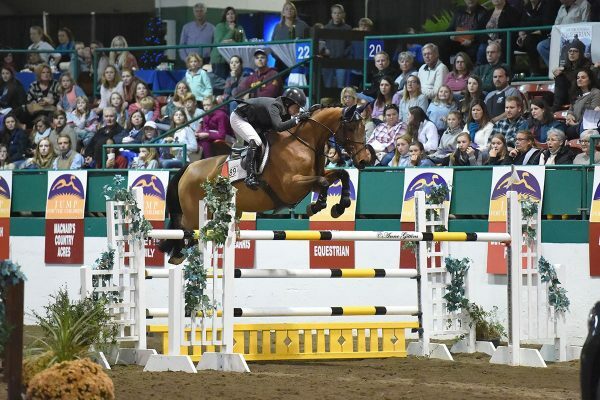 The next to faultlessly conquer the second round course was young Erin Ferguson aboard Captivate Farms’ VDL Umilion H. Sensing that Goldman’s time was going to be tough to beat, Ferguson opted to cruise around the second round for a clean effort in a time of 44.679 seconds. 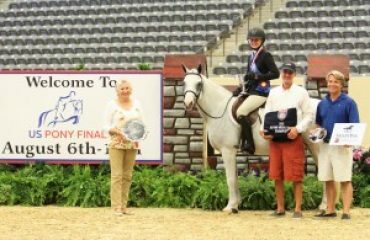 Knowing that Goldman had yet another shot at the top prize, Jacobs entered the arena on CMJ Sport Horse LLC’s 17-year-old Flaming Star. Studying his plan-of-attack, Jacobs set out at a gallop to challenge Goldman’s leading time, finishing only a margin behind as the timers flashed 36.404 seconds. Goldman had one more chance to try to bump Jacobs to third aboard Centurion B, but after faulting at the last fence in 35.635 seconds she finished as the fastest four-faulter while capturing the big Grand Prix win on Morocco. And of the battle between Jacobs and Goldman this year at Horse Shows by the Bay, the Principal of the Boston Bruins is as competitive as the 2011 Stanley Cup Champions he oversees. “I’ll be back next year with a vengeance… you can be sure!” he said laughing. 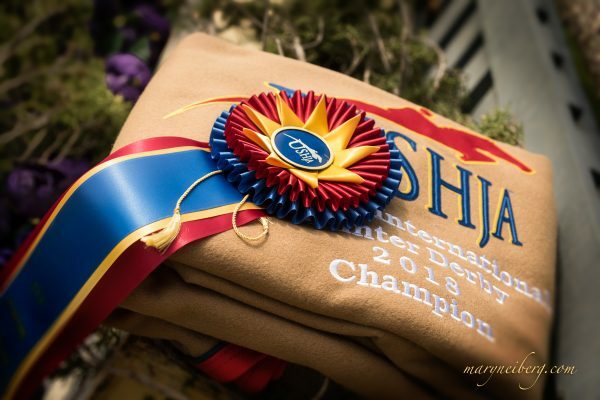 Complete Results of the 2012 Horse Shows by the Bay Equestrian Festival can be found by visiting www.horseshowing.com. 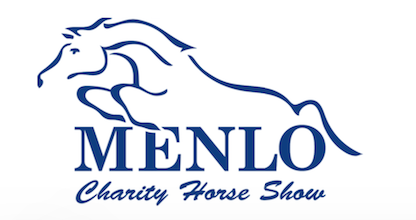 For more information on the upcoming Reiners by the Bay, which takes place this week from August 3 – 5, please visit www.horseshowsbythebay.com.